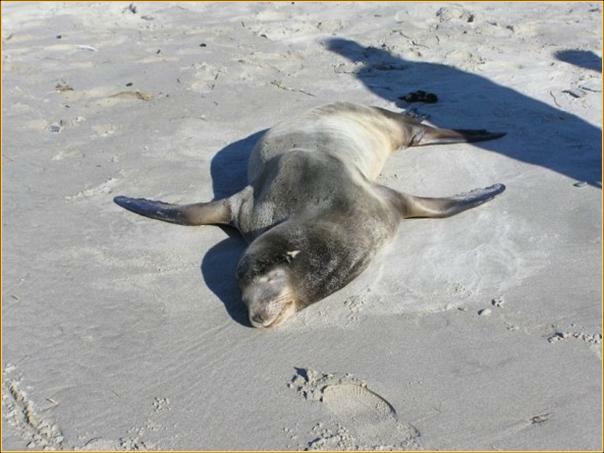 As in past years, we are currently seeing a significant increase in the frequency of California sea lions (Zalophus californianus) appearing on Oregon beaches in varying states of health and disease. Many have been affected by Leptospirosis, a contagious bacterial infection of the kidneys. This disease causes animals to appear very lethargic and unable or unwilling to move their hind limbs, and is often accompanied by weight loss and pneumonia. While it is possible for infected animals to recover from this disease if given plenty of opportunity to rest, there is no option to rescue and rehabilitate these animals in Oregon. This disease, and many others, is transmissible to humans and dogs. We strongly advise people to keep well clear of sea lions on the beach. It is a violation of federal and state laws to harass, disturb, touch, or feed marine mammals.